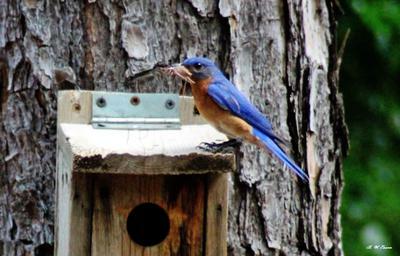 Both the male and female bluebirds became friendly and came around 4:00 o'clock each afternoon for meal worms. 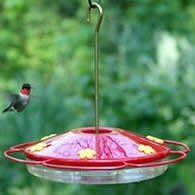 We put them out at 7:00 am as well but rarely saw them eat the worms, but they were always gone when we checked. Everything went well and the babies were amazing. We were fortunate enough to see the first one fledge. He stuck his head out many times before making that all important first flight. The male and female flew to his side and sat next to him for a moment. The male stayed there and the female came back to sit about 12 feet away and waited for the next three. They did not fledge, but did stick their heads out and look around a bit. The next morning, they were gone and we saw them occasionally, with the parents who took meal worms to them. As the first baby stuck his head out the first time, I clicked a photo and love that. 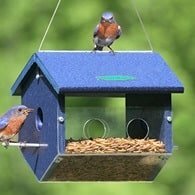 This was all so delightful that we were astonished and amazed when, within 3 weeks, we had another couple setting up house in the same blue bird house. Four eggs again and all four hatched. We had dinner on the deck to watch them care for the babies and it was, again, delightful. Then, to our horror, one morning the babies were gone. The parents have not come back and the nest was clean and not even disturbed at all. Not a piece of fuzz, not a piece of egg shell, nothing. A perfect nest that was undisturbed, but empty. No sign of anything. 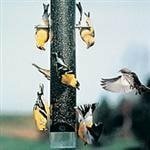 The bird house is on a pole with protection from anything climbing the pole. We have seen no predators at all and can't imagine why the nest would not be disturbed as the babies were removed or eaten or whatever happened. If anyone knows what happened, would you please let me know. 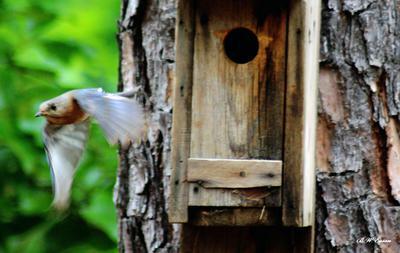 We so love our bluebirds and wish to continue feeding them and watching them flourish. I will be watching for an answer from anyone who wishes to help my husband and me solve this horrific problem. Thank you for any help you can give to us. Comments for Our First Success Amazing. I’ve had the same thing happen. 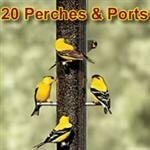 I put my birdhouses on poles and even put a wire cage around the hole and a guard on the pole. I had to take away the wires cages because the birds didn’t seem to want to take up residence. I hope this helps and we have babies again soon. I was feeding a stray momma cat but I don’t any more, I think she was getting the birds. I put out a cage to catch the cat and only caught opossums, and released them. Fingers crossed these eggs hatch and birds and babies stay protected. We had never seen a bluebird! We had lived in an area where there were lots of large trees. Last year we moved to another part of the city where, while there were trees, our back yard was an open area with a few small trees and shrubs. 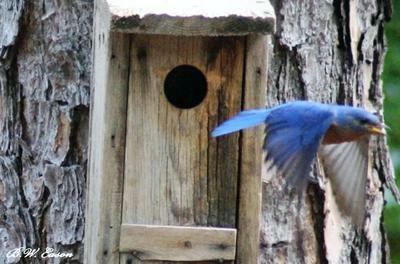 We had a bluebird house since we had tried for years to get some to come to our other house. On a whim, placed the house on the top level of our planter at the edge of our patio. 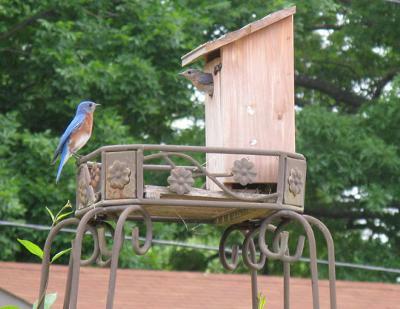 Within a week, a bright Eastern bluebird arrived and started checking out the house. In another day, a female came and began gathering all the necessary building materials for a nest. They worked on it for another day. He, watching, while she came and went with a beak full. On day 3 of these wonderful visitors, all of a sudden they stopped building. They disappeared! Who knows why, starlings around? Rent was too high? We miss them, hope they return. 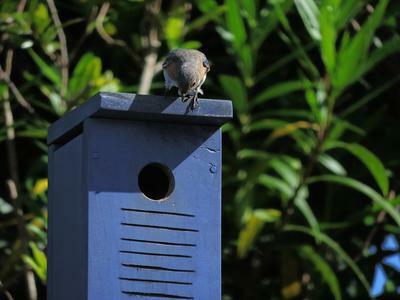 But now we've seen bluebirds and got a photos as well! 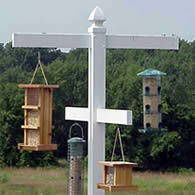 Birdhouse too low and platform could allow cats, raccoons, even a hawk to easily reach the babies. The parents realized it wasn't safe and abandoned it. 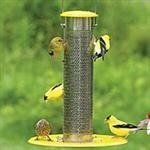 Next time place it on a pole at least 5 ft or higher with a baffle to keep predators from climbing it. 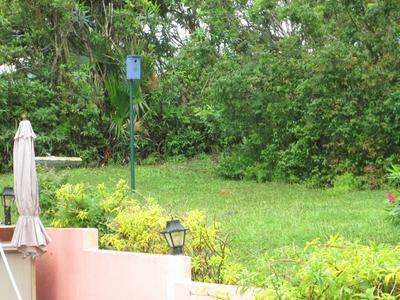 Place in an open space with no trees which predators could use to get to the nest. I have been monitoring it and screwed the top shut yesterday after noticing one of the babies gone. When I went out this morning all the babies were gone, not a sign of them. Something attacked them through the entrance hole as it is the only way in. I have the box attached to tree. Was it a squirrel or cat or snake. I'm mad now and I love birds so what do I do to protect the babies. I knew last night I should do something to partially block hole or something but I didn't know exactly what to do and now the babies are gone and did not fly off. I know most boxes are put on poles but I wasn't expecting it too be used so just attached it to a tree. What can I do to make sure this doesn't happen again. What animal should I protect against? Both parents were talking to me this morning, I knew something was wrong. I saw stray cat coming over at night. I hardly ever see snakes. I am heartbroken about this and feel violated. 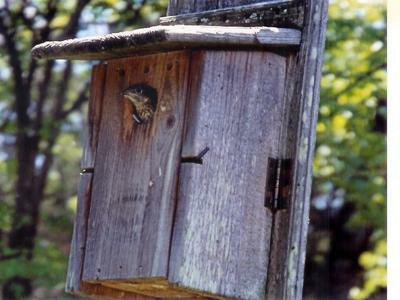 I will do whatever necessary to fix the nest box against predators but I'm old and don't want to put on post, so what else can I do?? Predator guards around any post or pole is a good idea. 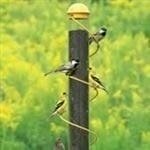 Even bird netting around the post or pole will aid in stopping snakes. Many do not think they have snakes but nearly everyone does. They can climb anything. 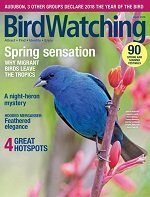 I live in Bermuda and love to see the bluebirds around my garden. 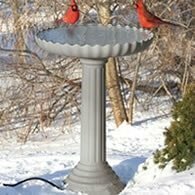 I also have 2 granddaughters who love all the birds, cardinals; Chicaadees; doves; catbirds and even sparrows. 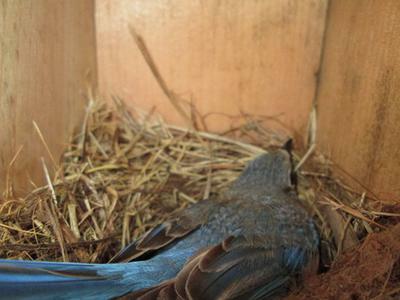 We made a bluebird box from the pattern used by the local bluebird organization and erected it in the back yard. Sparrows tried several times to move in but we evicted them until they gave up. Our first visitors eventually moved in, eggs appeared and 4 little fluffy birds soon appeared. We watched them grow using the side hatch and they soon became feathered juniors. I stopped checking on them when they grew to fill the nest and hoped to see them emerge. When I didn't see the momma-bird tending the nest one morning I opened the side to find the nest empty... bye bye birdies!